A giant glass cube perched atop one of the tallest buildings in Prague, this modern restaurant/club is among Prague's most exclusive. A giant glass cube perched atop one of the tallest buildings in Prague, this modern restaurant/club is among Prague’s most exclusive. 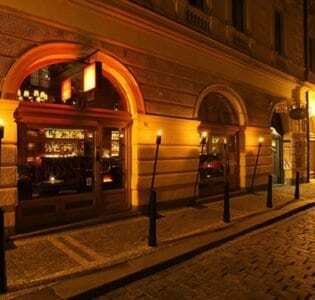 Located in the heart of Wenceslas Square, the multi-level, state-of-the-art space boasts a sprawling terrace, and generally draws moneyed expats, hot young locals and more than a fair share of visiting DJs and celebs rocker Mick Jagger celebrated his 60th birthday party here. Open all day, the restaurant area alone is a pretty sophisticated destination, and the international menu peppered with Mediterranean influences isn’t too obscenely priced considering the venue’s location. The restaurant bar holds its own as well, offering international wines and bottled beers, Pilsner Urquell beer on tap, and an extensive list of spirits and cocktails. 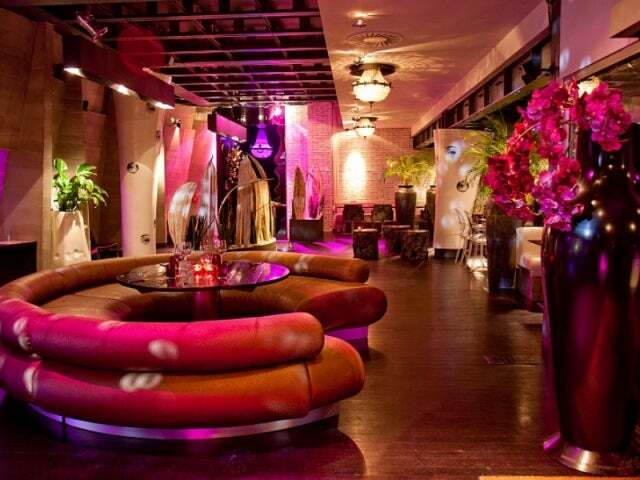 After dinner, Duplex morphs into a slick club, with a special event on just about every night. Comfy leather lounge seating provides a welcome retreat from the dance floor when required, and five bars prevent crowd crush when it’s time to order your next tipple. 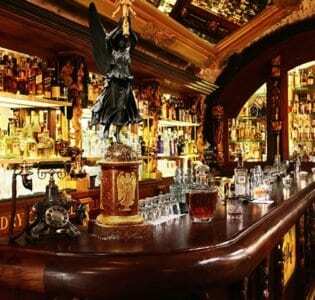 Drinks are on the expensive side, however, and regulars claim the cocktails aren’t quite up to par for the price. As Duplex is serviced by elevators from street-level, it’s difficult to tell how busy it is, and guests will be required to pay a cover charge before they can gauge the action for themselves. So if you’re after a party, head here later on unless it’s a balmy summer night, when you can be sure the party has long since begun.